Great sum up of the winning projects at D&AD. Check them all out on the Creative Review Blog. My personal favorite has to be Help I Want To Save a Life by Droga5 (video above). Donor registration kits are included with packs of Help Remedies plasters. Blood is collected on the plasters and are then sent t0 the donor centre affiliated with the project who will then follow up if they find donor matches. It’s smart design that does good for society by thinking of new uses for an everyday object. Developed by Domani Studios, this site was launched as a celebration of the 40th anniversary of the Apollo 11 launch. Commissioned by the John F. Kennedy Presidential Library, the site enabled a whole new generation to experience the mission just as it happened in 1969. It allows users to track the entire process of the Apollo 11 mission from launch to moon landing. This unique experience mixes photos, audio, and transmissions between the spacecraft and mission control. All of this is presented in real time, allowing the user to experience the events as they happened. Check it out here. It won a Yellow Pencil in the digital advertising campaigns and in the website categories. 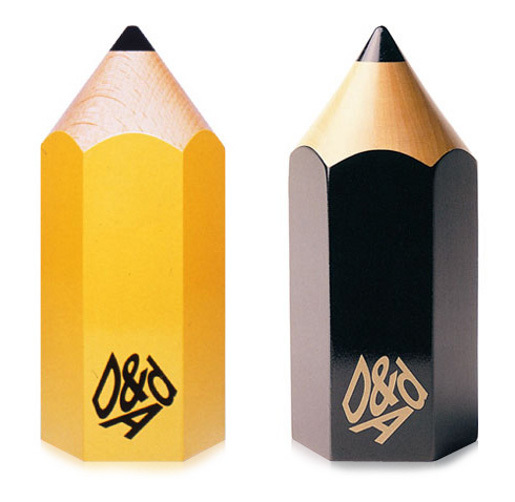 Droga 5 Australia won a Yellow Pencil for the V Australia campaign. The whole thing used Twitter and was called 4320:LA. 4320 is the number of minutes they were challenging people to tweet – one tweet per minute on their new 3 day LA holiday packages. All you had to do was tweet why you should be the one to win the ultimate non-stop tweeting holiday through their twitter interface. Check it out here. Following on from my series on the David Ogilvy book “Confession of an Advertising Man”, I should be covering the chapter How to write potent copy. But I am skipping to the one after that while waiting for a copywriter colleague who is helping me put something meaningful together. So we will be covering How to illustrate Advertisements and Posters. David Ogilvy devoted a whole chapter to creating illustrations/images for advertising. He believed that they “should work as hard to sell the product” as copy and headlines. In the book he states that the subject of the illustration is more important than the technique. That they must “arouse the reader’s curiosity”. He refers to “story appeal” and talks about the eye patch that he put on the star of the Hathaway campaign – one of Ogilvy’s classic success stories. The first challenge is how to define digital art direction. With more campaigns using the same visual assets on and offline it is becoming harder to isolate specific examples of pure digital art direction. Then you have multiple disciplines within digital art direction such as interface design, animation, motion graphics and more. Probably the best place to start are the D&AD Awards that champion art direction above the idea behind the piece itself. In terms of Interface and Navigation there are many projects that forgo the rules of simple usability for a more experimental and experiential approach. One of the 2009 winners was 12 CAMS, CREATE YOUR RAINBOW for the band Radiohead. By integrating video footage and a clever interface they created a way for users to interact extensively with both media. Every user’s action was recorded as a piece of a rainbow. At the end, the resulting rainbow containing everyone’s feelings into one piece of art. This style of art direction relies heavily on the data-centric nature of the web and uses data visualization as its main design theme. Even the video footage was extremely pixelated that adds to the glitchy nature of Radiohead’s music. Good design online should make people want to explore. Take this award winning campaign site from Poke London for Orange which brings to life the advertising concept that good things should never end. Many people believe that the best websites should never make people scroll. This one scrolls forever. Along the way you will learn things about the product and be entertained too. Uniqlo have continued to build an instantly identifiable brand image partly thanks to the work they’ve done online. They have created their own unique language that goes from the style of typography through to the videos that mix seamlessly in their websites. Not only is the design a masterclass in simplicity but the thinking that goes into their digital work really makes them stand apart. When it comes to graphic design, one big trend in digital is the Apple school of art direction featuring white spaces, highly polished images and (of course) reflective surfaces. Take the Heinz “Talk to the plant” project from Daddy. Every pixel is polished to perfection. The 3D animation of the plants is beautifully rendered. It makes you want to lick the screen. Another trend is non-design. When design is reduced to a minimum to take down any barriers between people and what they are looking for… it creates a whole new approach to art direction. How more minimalistic can Google’s homepage get? Now they even have navigation hidden on first load then it slowly appears. A great example of non-design is the Modernista website. Or rather a floating navigation that guides you to content about the agency wherever it may be online. There is no actual website. Try selling that to a client. So unlike David Ogilvy’s book there are no real rules any more when it comes to art direction. But it has to be noticed by the audience and be true to the brand. Designers, you have more freedom than every before. Use it wisely.